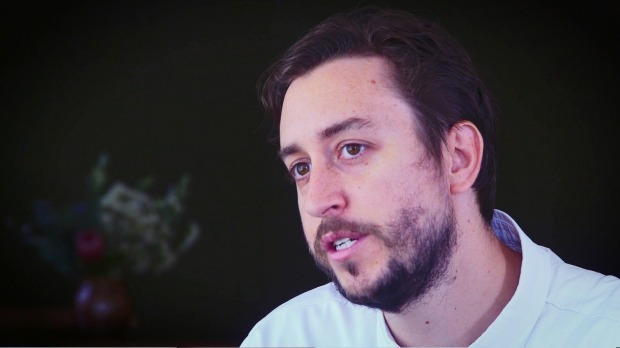 Sixpenny chef Daniel Puskas talks about his love and appreciation of cooking. Video brought to you by Citi. This chef must be at the forefront of dining, setting new standards, creating new flavour combinations, doing something original, and adding something extra to the Australian dining scene. For a chef who used to skateboard to work and cook sous-vide in a bucket, Daniel Puskas has travelled a long way. His restaurant, which he now runs solo (co-owner James Parry left the business last year) goes from strength to strength. It's the honing of his craft, and his sheer force of will to squeeze maximum flavour from every ingredient he touches while keeping each dish to its most minimal that gives this ex-Josephine Pignolet Award winner the edge. Puskas has, over the years, honed and sharpened his menu into an ever-evolving study in simplicity. Check out snacks like a gougere filled with gouda and sweet chutney and a confit pumpkin doughnut bomb finished with a sprinkling of pumpkin seed salt - it disappears on the tongue in seconds, with flavour for days. The restaurant has really hit its straps in the past 12 months, and it's Puskas's drive, vigour and passion that makes this so. It's that devotion to his craft that has diners and chefs alike sitting up and paying close attention. Josh Niland, fellow Chef of the Year nominee and Sixpenny fanboy says "the elegance and [Puskas] constant striving for perfection makes his the food that I would want to cook if I had the courage".